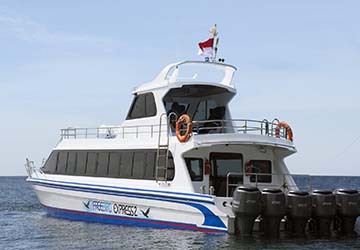 FreeBird Express is one of the newest companies operating high speed ferries in Indonesia. 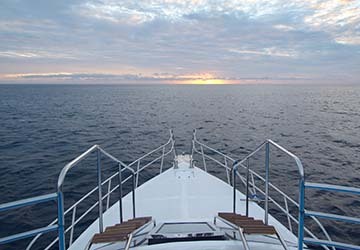 Their modern vessels transport passengers between Amed in the east of Bali and the idyllic destinations of the Gili Islands and Bangsal in Lombok. 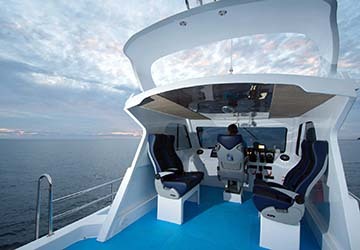 Each ship comes with luxury airline style seating and is equipped with latest modern and state of the art safety equipment, leaving you to sit back, relax and take in the stunning sea vistas. 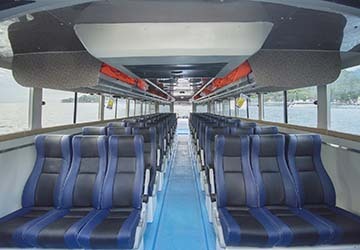 Please Note: Whilst we have taken great care in making our FreeBird Express guide as accurate as possible, onboard facilities, services and entertainment may vary depending on the date and time of year that you travel, facilities mentioned may change without notification and ferry companies reserve the right to operate vessels other than those mentioned at time of booking without prior notification.